Dedicated to their practice, our firm's attorneys have a wealth of experience in handling all aspects of workers' compensation and employment law claims. We provide the highest level of service to protect our clients' interests during all stages of each litigation. Understanding that each case is unique, we personalize our services and tailor our approach to meet each client's specific circumstances and goals. Throughout our history, our law firm has enjoyed a long record of success. Known for our efficiency and aggressive approach to litigation, we seek to secure the maximum compensation possible for every client. Our award-winning litigation team is adept at working through even the most challenging claims. We have successfully litigated thousands of claims, and obtained millions of dollars in settlements and awards. 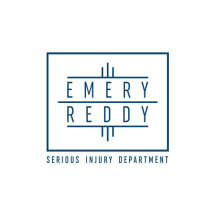 If you are looking for a strong legal advocate to protect your rights and entitlements, Emery Reddy, PLLC, offers free initial consultations as a convenient, no-risk way for you to speak with us about your legal needs.